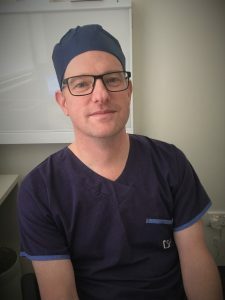 David completed his Medical Degree at University of Queensland and completed Urology Specialist Training in Queensland before returning to his home city of Melbourne, where he undertook fellowship training in Advanced Laparoscopy at Monash Health. He was appointed at Monash where he has provided Specialist Urological Services over the last 10 years. David acted as Director of Urology Training at Monash for 3 years, representing Monash Health at the Royal Australasian College of Surgeons. He has also provided private Urological Services to Melbourne’s Southeast Suburbs over the last 10 years. He is a member of the Australian Medical Association, Urological Society of Australia and New Zealand and Royal Australasian College of Surgeons. David has special interest in prostate cancer, kidney stone management, uro-oncology (kidney cancer, bladder cancer, testicular cancer), advanced laparoscopic surgery, voiding dysfunction, vasectomy and erectile dysfunction. Rob is a fully credentialled Adult Urologist and Paediatric Urologist. He received his undergraduate degree at the University of Queensland and was later awarded Master of Philosophy in the Field of Medicine for his research in immunotherapy treatment for prostate cancer. He completed Urology training in Queensland and then undertook subspecialty training in Paediatric Urology at Birmingham Children’s Hospital NHS Foundation Trust, UK, where he attained formal qualification as Fellow of European Academy of Paediatric Urologists. 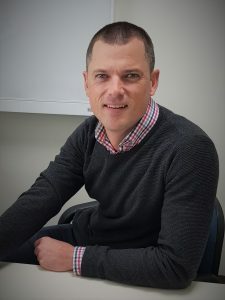 Following completion of subspecialty training, he continued at Birmingham Children’s Hospital as Specialist Paediatric Urologist from 2013 until he returned to Australia in September 2015, joining Monash Children’s Hospital as a Paediatric Urologist. Rob subspecialises in Paediatric Urology but provides high quality urological care to patients of all ages. He manages all paediatric urology conditions, with special interest in hypospadias, stone disease, reconstruction, adolescent urology and laparoscopic (keyhole) surgery. Rob’s adult practice is focused on endoscopic and laparoscopic urological surgery. For more information, visit Rob’s website here.